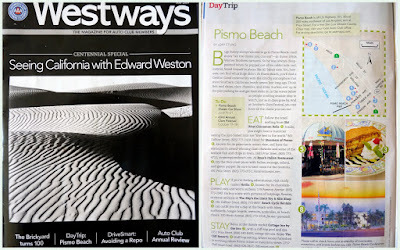 Pismo Beach Featured in Westways Magazine! My new Westways arrived in the mailbox yesterday and had a page featuring a Day Trip to Pismo Beach. (pg. 30 if you get the magazine) If you don't get the magazine, I'll try to put up some of the most interesting things from the article. First the map from the downtown area with featured places to visit highlighted. The first catagory covered was places to EAT. 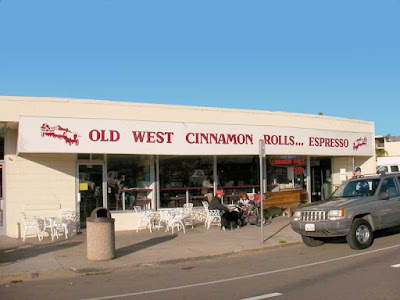 They suggested (1) Old West Cinnamon Rolls. 1861 Dolliver Street. Follow the smell of just baked cinnamon rolls and inside you will hear the rolls are "the best in the world." 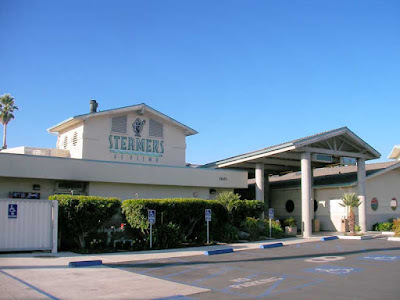 (2) Steamers of Pismo Beach. 1601 Price Street. Known for its panoramic ocean view and award-winning clam chowder and some of the tastiest fish and chips in town. 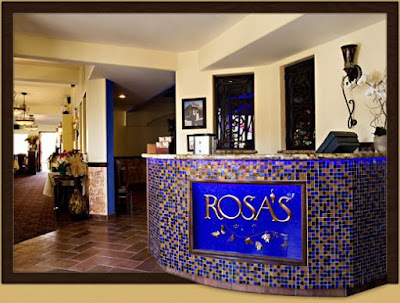 And (3) Rosa's Italian Restaurant. 491 Price Street. Try the thin-crust pizza with Italian sausage, salami, and green pepper. Be sure to save room for the tiramisu. Next, there were the places to PLAY. Number (4) is Hotlix. 179 Pomeroy Avenue. Kown for its chocolate-covered ants and worm suckers. (5) The Sky's the Limit Toy & Kite Shop 761 Dolliver St. Go buy a kite with pictures of ladybugs, flowers, or circus animals. (6) Beach Cycle Rentals 150 Hinds Ave. They can outfit your for a day at the beach with bikes, surfboards, boogie boards, wetsuits, umbrellas, or beach chairs. (7) Cottage Inn By The Sea 2351 Price Street. Relax at the thatch-roofed Inn with a cliff top pool and spa. 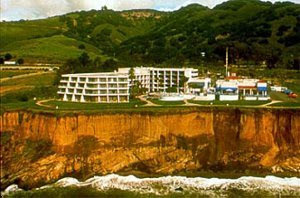 (8) The Cliffs Resort 2757 Shell Beach Road. 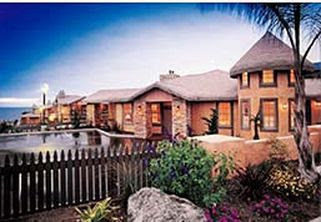 Enjoy the bluff sop setting, where rooms furnished in soothing colors frame ocean or mountain views. These are just a few things to see during your visit. There are many other wonderful motels, restaurants to fit all budgets, nearby shopping at our local Prime Outlets in Pismo Beach, Regal 10-Plex Movie Theater and Miles of Beach to walk and drive on. (Yes! I said drive on!) Local Farmer's Markets are held each week in several locations within driving distance. So come for a day, a weekend or even a week and take in the mild weather and mellow people. For hours, availability of businesses, attractions, and events, visit the Pismo Beach Conference and Visitors Bureau, 581 Dolliver Ave, corner of Hinds and Dolliver (Hwy 1) call (805) 773-7034 or visit Classic California website.